Leading independent testing authority, Virus Bulletin, recently published its first comparative review of business and consumer products on Windows 10 Pro 64-bit. Upon completion, ESET NOD32 Antivirus remained its “most reliable performer“ in the consumer segment, picking up its 95th VB100 award. Of the 24 consumer products Virus Bulletin tested in full, ESET NOD32 Antivirus continued to display its excellence, delivering no false positives and once again acheiving a “Solid“ rating for its superb stability. 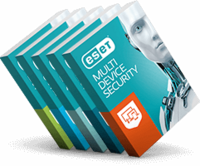 “ESET remains our most reliable performer over the years. With very strong detection, dipping somewhat in the proactive sets but excellent in the reactive sets, and with yet another flawless run over the certification sets, ESET adds one more VB100 award to its vast collection,” said John Hawes, Chief of Operations at Virus Bulletin. In the Windows 10 Comparative, Virus Bulletin also wrote that ESET NOD32 delivers its signature lightwieght performance via excellent results in RAM and CPU usage performance, as well as its rapid load time. “ESET NOD32 Antivirus continues to deliver on its promise of a lightwieght, stable and user-friendly platform even with Windows 10. With this first test behind us, we can have confidence that this produced remains a leader among its peers in the consumer antivirus segment,“ said Eduard Kesely, Senior Product Manager at ESET. Visit www.eset.com to learn more about ESET product portfolio or download the latest Virus Bulletin VB100 Comparative.